In a land of toy reviews, Kyd, now 13, often feels a bit left out. Toys are always for Rocky and he just joins in because he feels left out if he doesn't. But not this time. 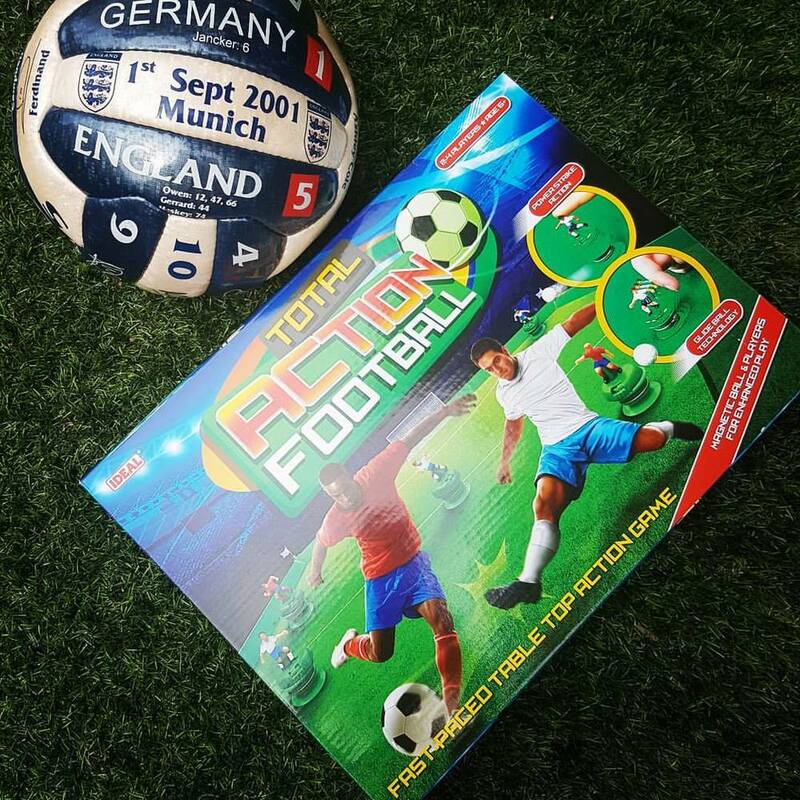 Total Action Football is a 2-4 player game for ages 6+. It has taken this house by storm with regular battles between Kyd and the Hoff happening daily. A football mad, season ticket holding family, is always going to take this type of toy to the extreme and that we have. This little box of football joy has been in our hands for a matter of weeks and the battles have gotten intense. The European Championships are happening at the moment and they each pick a team and play for glory during half time. This toy isn't just for kids though, Hoff and I have battled to the brink of gloating horror with it too. It's simple to set up and play, however Rocky, 3, couldn't quite work out the rules so the age range is about right. We love it and it will continue to bring the Euros 2016 to our house! The fast paced realistic table top football game. Now with a 5-a-side team for easier management. Excitement, Pace and skill of a real football match. With magnetic action so each player can pass, shoot or trap the ball. Features power-strike action, glide-ball easy player slide technology and diving goalie!